I have had so much to do this week and the weather was not playing ball. Queens in mini nucs that need marking and clipping that are now ready to be introduced to nucs, supers that need to come off for extraction and nuc orders to be processed. It seems the weather was against me this week. We often use a plastic box called a multi box, and this is how we make up new colonies. A queen cage with a new queen is suspended in the multi box. We take the opportunity to mark and clip the queen at this point. 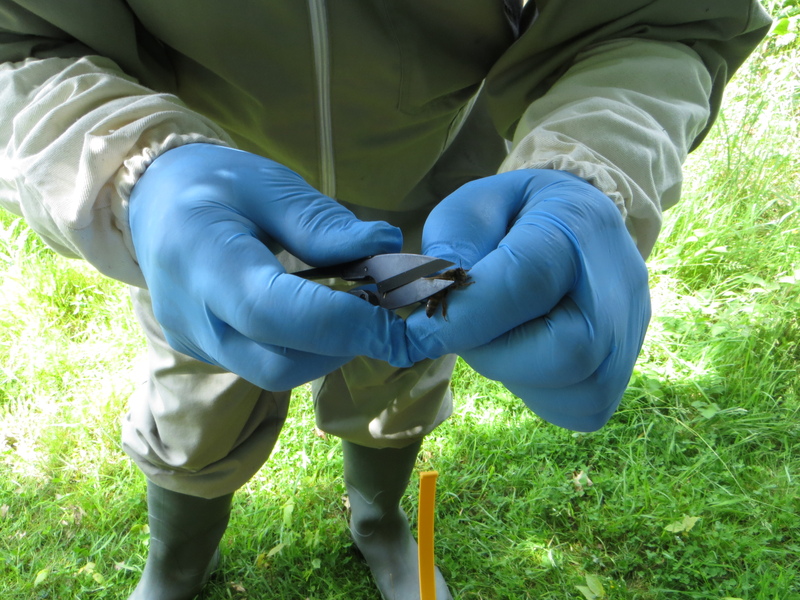 About 2 – 3 lbs of bees are shaken from the supers into the box after the box has been wetted and the frame of bees have been sprayed. 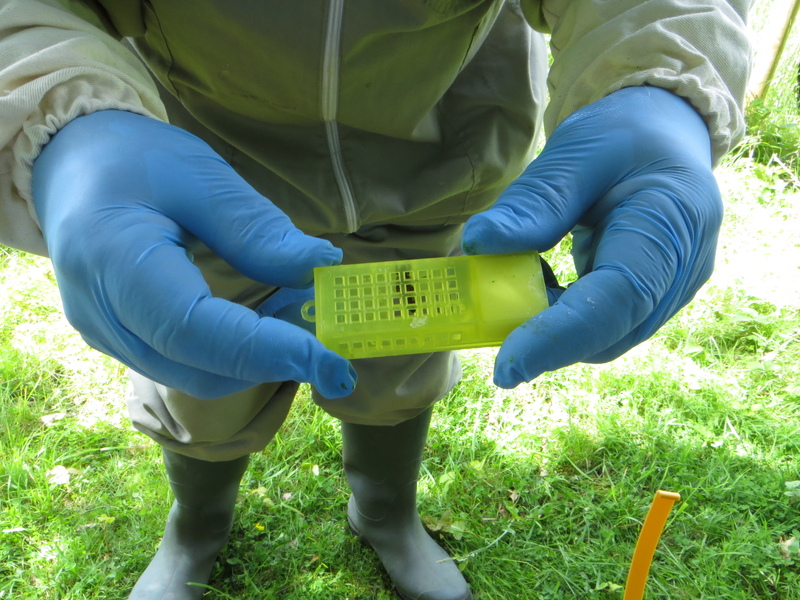 I have shook bees from different colonies with no problems if there are not enough from say one colony. The feeder that comes with the box is added and the boxes are taken to a dark airy place like a cellar or the garage floor. After 24 hours the bees will have fused into a small swarm. A floor and brood box of foundation is placed onto the new site and the queen cage is suspended in between two frames. I then remove a couple of frames to make adding the bees easier. The rest of the bees are shaken out into the brood box. A feeder is added as unlike a natural swarm they have no stores to which to build new comb. This has worked well for us last year and I am planning on doing a lot more this year. 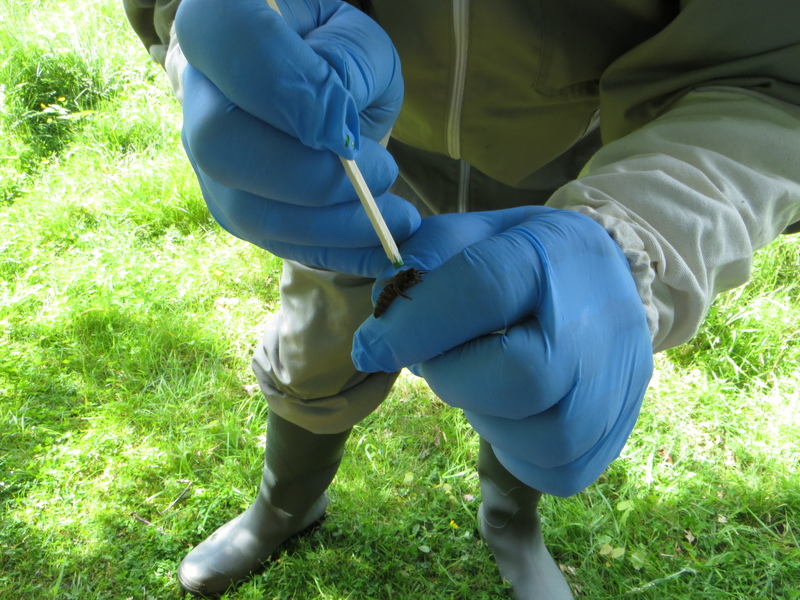 Wednesday was a complete washout, so I spent the day at the bee unit. I had a few supers to extract, and afterwards made a few frames and had a general tidy up. 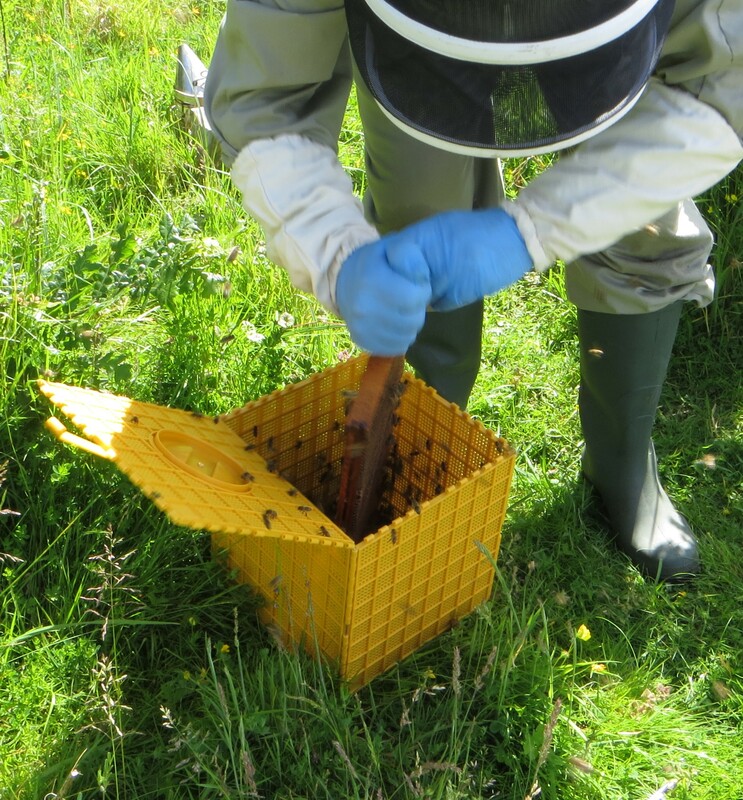 A meeting at a local hotel on Thursday was to meet up with the head gardener about taking over the management of the hives. 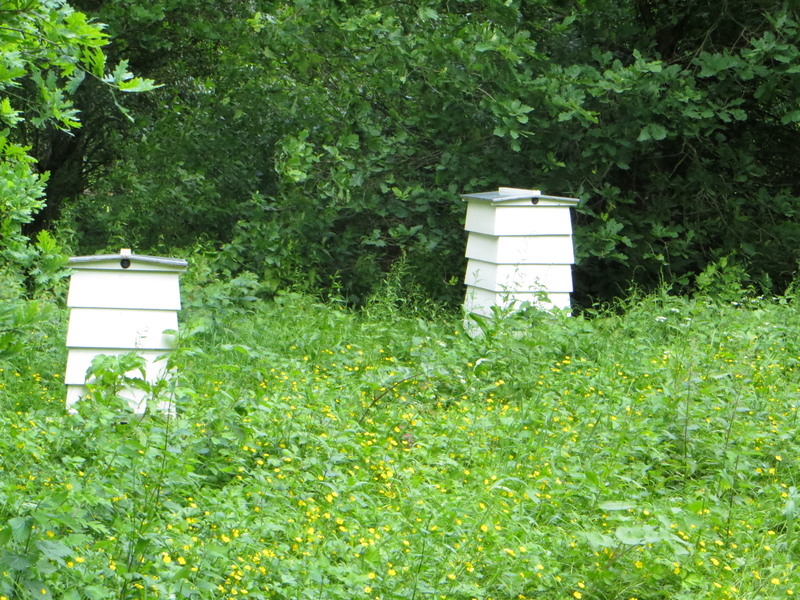 Five WBC hives, not ones I am particularly fond of but that is what they have. The main part for us is that we get another apiary site within the hotel grounds which will accommodate about a dozen or so hives. After spending a couple of hours wandering round the grounds, we noticed a huge avenue of Lime trees, so we will be looking forward to tasting the honey from this area as it is one of my favourite honeys. Although only two hives can be seen in this picture, there are in fact three more to my right. I’ll post more pictures when we have a good look at them next week. 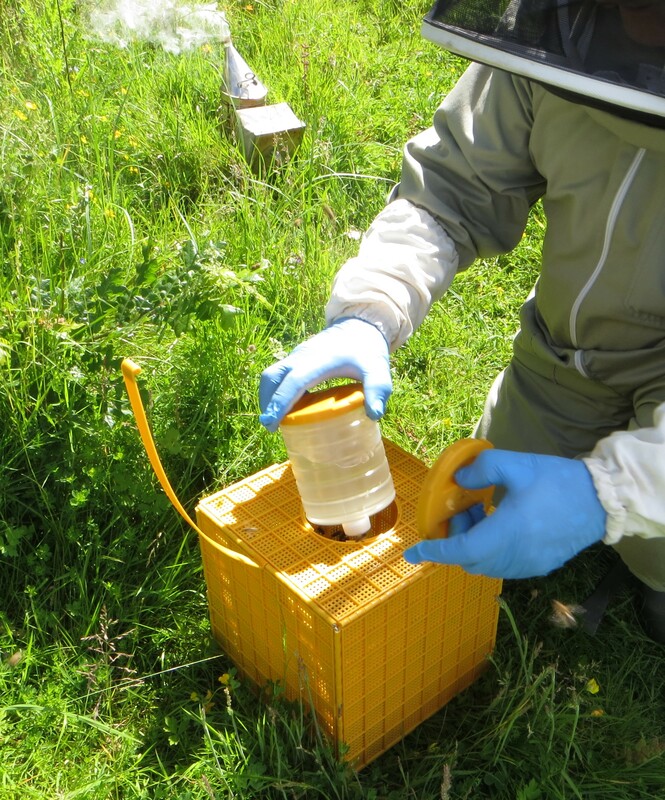 We spent the rest of Thursday bottling honey in readiness for the Shepperton fair on Saturday. So to a rainy start on Saturday morning as we were setting up for the fair. 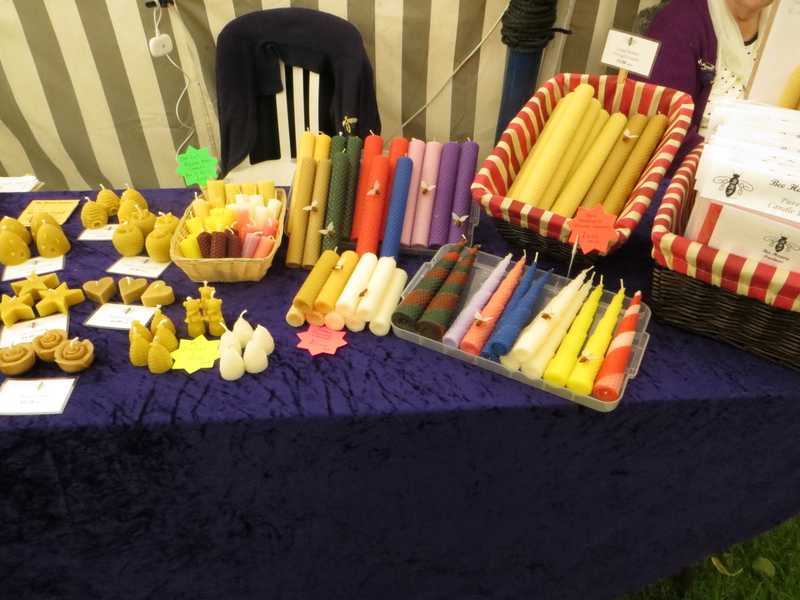 Luckily we had a stall inside the marquee with electricity if we wanted it, but the weather was still not good by the time we had setup and the thoughts of none or very small amount of customers was looming over us. The fair started at noon and by then the rain had subsided and later that day the sun shone for us. 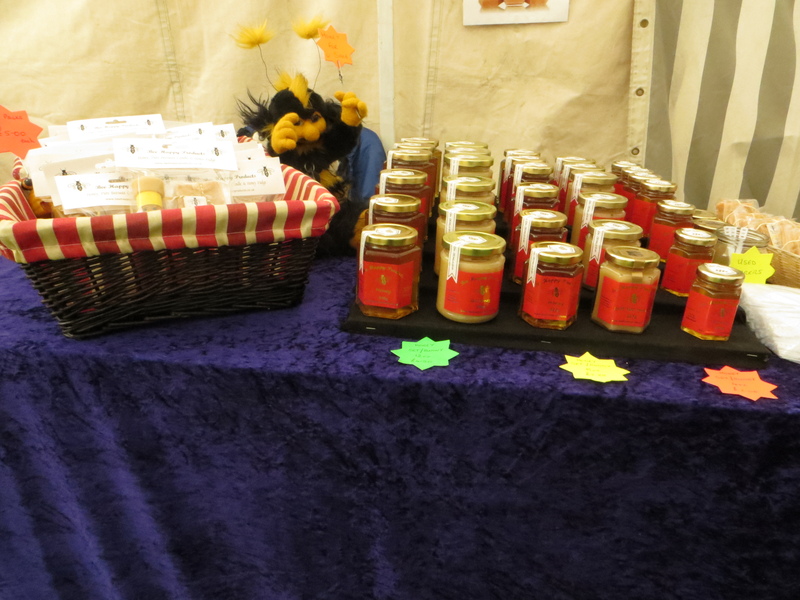 We sold quite a few jars of honey, fudge and candles. So far looking at the stock that we have left, i’d say we did better than last year. 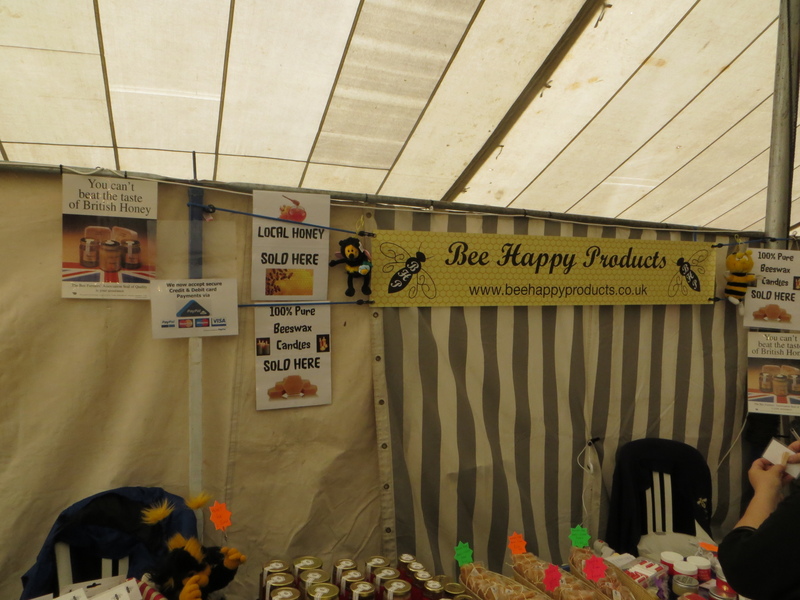 Some customers had come to the fair just to get their supply of honey. To finish this week, here are a few pictures of the stall. We are commercial Bee Farmers in the heart of Surrey UK, producing Honey, Comb Honey, Candles and Cosmetics. We supply numerous outlets with our products. 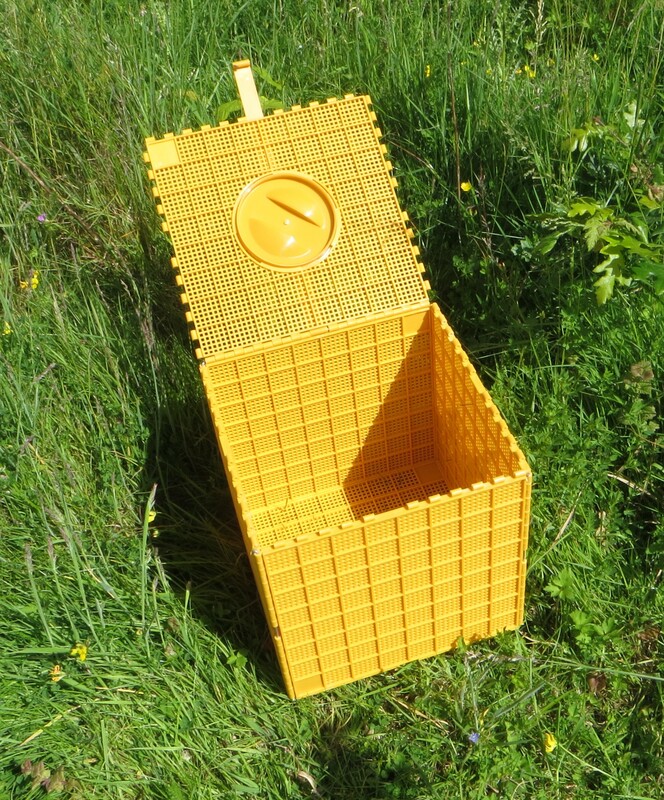 This entry was posted in Beekeeping and tagged bee farmers, Beekeeping, Bees. Bookmark the permalink.